For more than 40 years, PD Designs have been used by families for their marble and granite cemetery headstones. Eagle Granite is proud to offer these traditional memorial designs for use in funeral homes, cemeteries and monument selection centers. 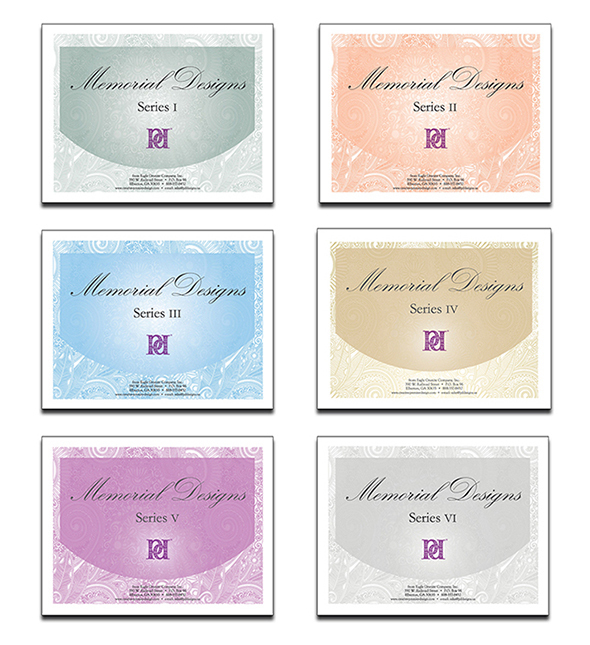 We also offer the option of purchasing any of our designs as fully-sandblastable cutter files for those who manufacture their own memorials. The Catholic Book / Children's Memorials / The Contemporary Book / Enduring Legacies Collection / Forever Remembered / Upright Gallery Books / The Jewish Book / Keep The Memory / Lasting Memories / Life is a Voyage / Memorial Sketches / Memories Across Time / PD Series I - Series IX / Scenic Scenes / Single Upright Designs. Designs are available individually or as packages for purchase. 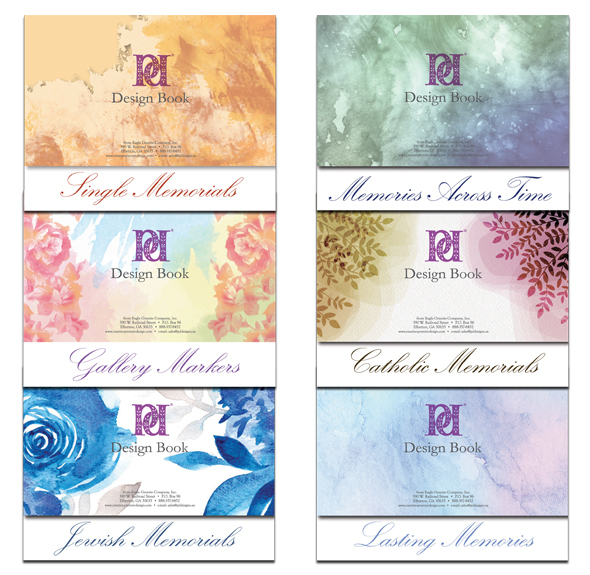 Brochures and Design Series Books are also available! Please call 888-357-8452 for quantity pricing. © Copyright 2017 Eagle Granite Company, Inc.